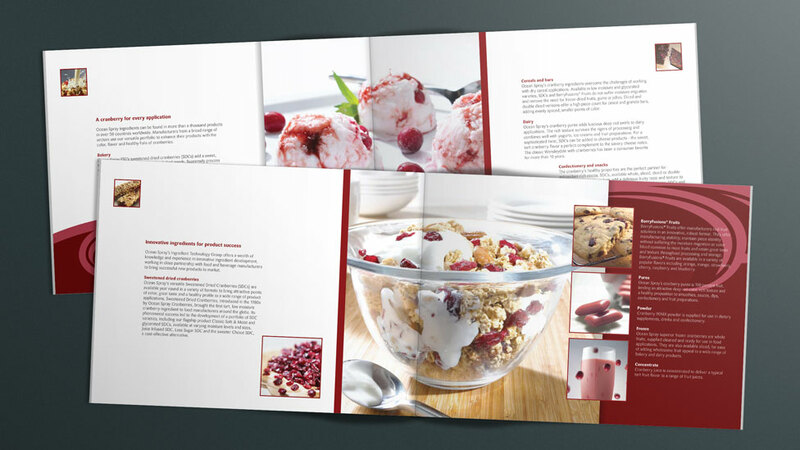 We produced a multilingual brochure design that helped promote Ocean Spray to a global audience in a professional and yet familiar tone. Our client is the world’s leading producer of cranberry beverages as well as the best-selling grapefruit juice brand in North America. 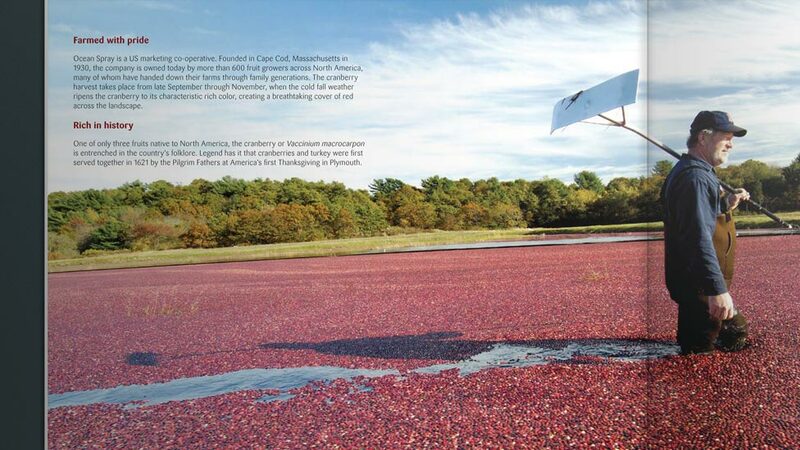 Ocean Spray is also the best-selling brand in the North American bottled juice category. 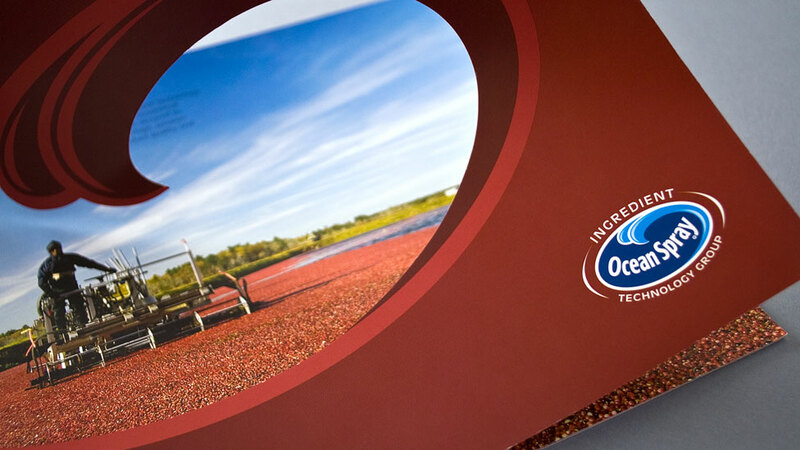 Serving markets all over the world, Ocean Spray Ingredient Technology Group required a multilingual brochure that would allow global sales teams to promote their products effectively in every market. We had already designed the English language version of this stunning corporate brochure for use in the UK and US markets. To allow them to reach their target audiences in their own native tongue, we were asked to produce a series of brochures in various languages, including Spanish, French, German, Japanese and Russian. The multilingual brochure design features extensive show-stopping photography of their mouth-watering products and cranberry harvesting, and is finished with a striking die-cut cover and elegant matt laminate, giving Ocean Spray a powerful marketing tool to promote their message to a global audience in a professional and yet familiar tone. We have further helped Ocean Spray reach their overseas markets with a multilingual web design that offered a great user experience. We helped DAI rise above competitors at Intermodal Asia with a brochure design and Chinese translation that helped them communicate not only industry leadership, but also extra care and respect for their audience.